'Scandal' Season 6 Trailer Released: When Is the Premiere? And you thought Trump vs. Clinton was tense! After its absence from the fall schedule, Scandal is finally coming back for season 6 on Thursday, January 19, ABC announced on Thursday, November 3. And if that&apos;s not enough, the first trailer for the drama&apos;s new batch of episodes teases a (literally) explosive twist centered on the show&apos;s big election. PHOTOS: Get Olivia Pope's Scandal Style – Get It for Less! The footage for Kerry Washington&apos;s series reveals that the season premiere brings cataclysmic events, as fans will learn the results of its presidential election (sound familiar?). 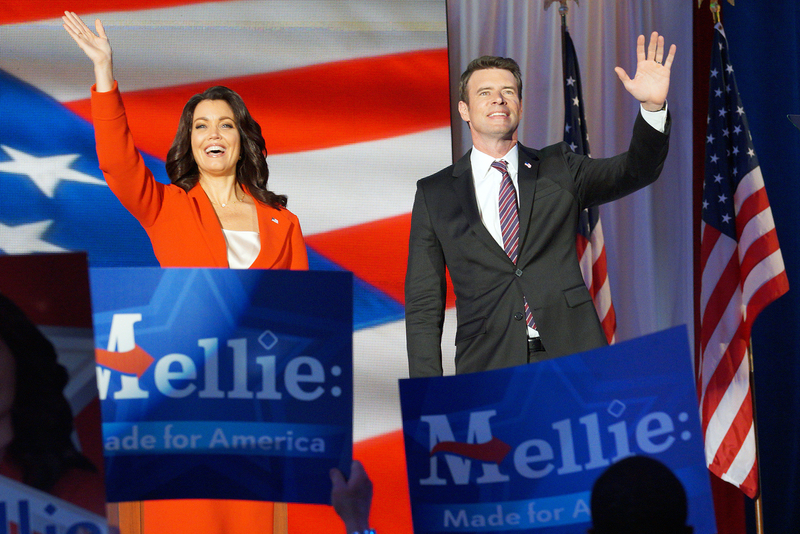 During the season 5 finale in May, Olivia Pope (Washington) landed Jake Ballard (Scott Foley) as the running mate for Mellie Grant (Bellamy Young), while Cyrus Beene (Jeff Perry) joined the Francisco Vargas (Ricardo Chavira) ticket. "In just the first 10 minutes alone, you&apos;re not going to know what hit you," a voiceover says in the spot. A heated scene shows Fitz Grant (Tony Goldwyn) warning Liv, "What if you&apos;re wrong?" At that, the campaign manager fires back, "I won&apos;t be wrong." The on-off pair are later seen sharing a tender embrace. Another clip features Mellie telling Liv, "I am done running for president!" Liv&apos;s response? "Well, I&apos;m not!" We suppose that settles that. 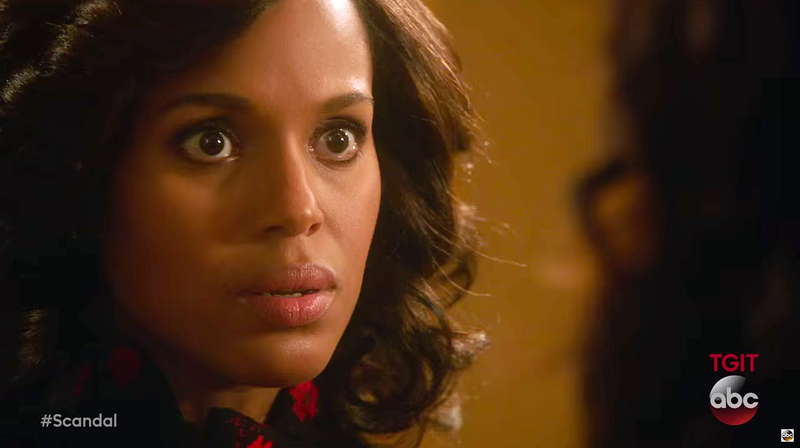 Scandal&apos;s return means that Shondaland&apos;s TGIT lineup is again intact. Grey&apos;s Anatomy and How to Get Away With Murder — both of which, like Scandal, are produced by Shonda Rhimes&apos; company — return with new episodes on January 19 as well, following their midseason finales on Thursday, November 17. The hiatus was well-timed for Washington, who welcomed her second child with husband Nnamdi Asomugha last month. Watch the wild promo above to see stuff blow up. Scandal is back at ABC on Thursday, January 19, at 9 p.m. ET.